Born and raised into an Irish/Icelandic family Peter Shea began his lifelong love affair with music surrounded by a family of musicians and music lovers. In 1995 Peter graduated from the University of Toronto with a degree in Jazz Performance and Composition. Peter Shea’s extensive resume includes performing on keyboards for the hit Toronto Second City dinner theatre show “Tony and Tina’s Wedding”; touring across Canada with comedian Sean Cullen; performing for a month at the world famous Edinburgh Comedy Festival on both keyboards and drums, including several live performances on BBC Television and Radio; performing on keyboard with the Jersey Boys in Toronto; a cross-Canada tour with the famous Montreal “Just for Laughs” Road Show including the Pantages and Massy Hall theatres. He has also had the unique privilege of performing with many great Canadian jazz artists including Phil Dwyer, Pat LaBarbera, Graham Lear, Heather Bambrick, Mike Malone, Kevin Turcotte, June Garber, Davide Direnzo, Mike Daley (Jeff Healey Band), Duncan Hopkins, Gord Sheard and more. Along with his wife and musical partner, Juliet Dunn, Peter Shea has performed in over forty countries as a bandleader, vocalist and keyboard/piano player. 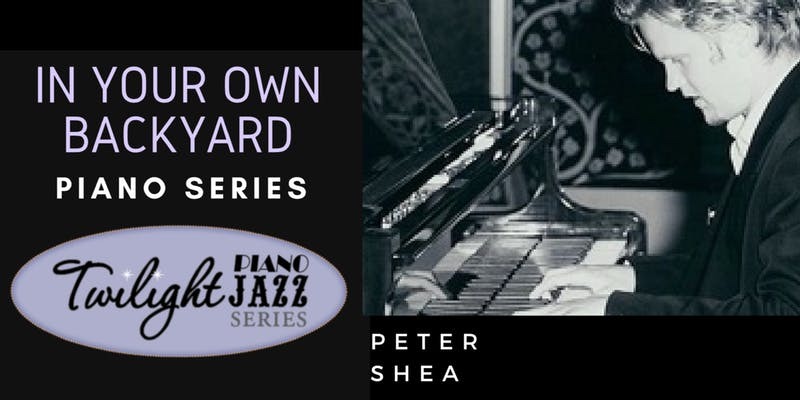 With his long musical lineage, Peter Shea is considered one of Niagara’s eminent jazz pianist, percussionist, vocalist, composer and arranger.